This is a topic we feel strongly about, having worked in the mortgage industry for years. We’ve worked countless transactions where the buyer doesn’t have a real estate agent to represent them and instead just worked directly with the listing agent. In some cases, the arrangement worked just fine. For the remainder of instances, however, the buyer had a terrible experience and felt like there was no one to help them. 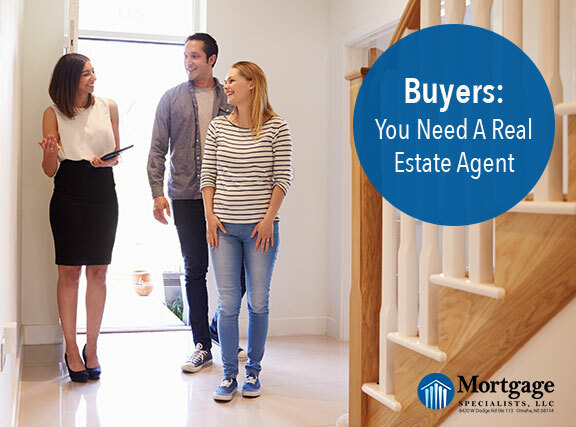 Before we delve into the reasons why buyers may not want to work directly with the listing agent, we’d like to discuss the benefits of having a buyer’s real estate agent. Agents often have access to homes before or right when they’re listed. They communicate with the seller’s agent on all matters so you don’t have to. Real estate agents stay on top of the process and remind you to complete certain tasks. They are skilled negotiators that can help you get the best price. They’re able to put together a contract properly, helping you to avoid legal disputes in the future. Above all, they do this every single day, meaning they have more experience than you. Experience that they’re more than willing to share to make the home buying process as seamless as possible. The listing agent of a property can have what’s called dual agency. That means they can represent the seller and the buyer. Since the listing agent’s primary concern is selling the home, they tend to have the seller’s best interest in mind. The way we look at it, you don’t have to pay for a real estate agent either way. Sure, you may see a fee for a few hundred dollars, but that’s charged by the real estate broker, not your agent. So, you can either use the listing agent or hire your own agent, the cost is the same. And when you hire your own real estate agent, you know that their primary interest is protecting you as a buyer and ensuring you get the best deal possible. If you have any questions about how the mortgage process works as a whole, please feel free to reach out to us. We’d love to explain the process to you.